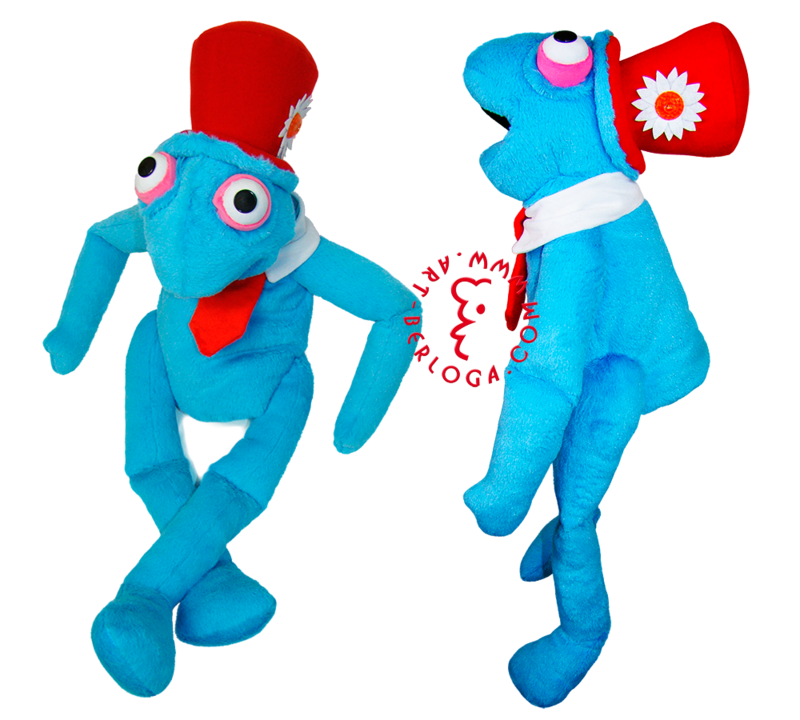 Exclusive craft of Muppet hand glove toy by Art-berloga, modeled on cartoon-show hero basis. Hero of Puzzle Games Baby TV cartoon-show crafted with 100% resemblance. The toy is made in Muppet-dolls style with an option to manage facial expressions in variety manner, if to be exact, you can handle toy's mouth and imitate talk. This is perfect way to learn kids of junior and preschool age in play-style, or even for establishing your own home doll-theatre. Neither kids nor adults can stay indifferent about this toy. When our team decided to test "jaw"-functionality of this toy, our workshop has shut down for a couple of hours - that's how exciting the interaction with this blue marvel was. The Muppet is 70cm in tall. 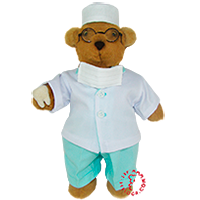 The toy is crafted with certified faux fur, lining is made from cotton. Furniture is completely made of polymer clay. Filler consist of hypoallergenic synthetic fluff and synthepon. Hand glove toys on order.